Coromandel Watchdog represent! 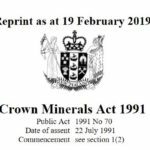 Today presenting further evidence (and apparently explaining what Schedule 4 is) to the Economic Development, Science and Innovation Committee – why Schedule 4 should be applied to the entire Coromandel Range, protecting the entire ecological region – and the entire Coromandel Range conservation estate from mining! The Government already committed to this, now we just have to ensure that they are able to defend that decision. Want to help? 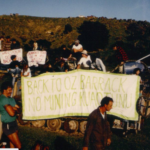 Write to NZ First MP’s and make sure that they know that there is good public support for this – oh, and donate to us now (Coromandel Watchdog of Hauraki Account no: 38-9006-0733863-00) to help us with all the costs associated with getting this over the line! Thanks to committee members Cath Wallace and Catherine Delahunty for representing us so well! We all appreciate the many, many, years you put into getting the Northern Coro protected (sucessfully! ), and now you are stepping up for the Southern Coro too! Kia Kaha Southern Coromandel, we will do it!